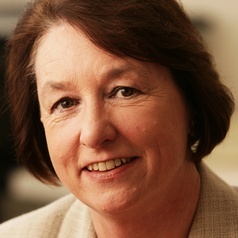 Jane Hall is Professor of Health Economics in the Faculty of Business at the University of Technology Sydney; and the founding Director of the Centre for Health Economics Research and Evaluation, a position she has held for twenty years. She is a Fellow of the Academy of Social Sciences in Australia. She was President of the International Health Economics Association in 2006-7, and was President of the Health Services Research Association of Australia and New Zealand until 2007. Jane has a wide range of research interests, including health technology assessment, the nursing workforce, and health funding. She is involved in health policy issues in Australia and internationally through her involvement with the Commonwealth Fund International Program in Health Policy and Practice. Her recent contributions include a chapter on health insurance in Australia for Cambridge University Press Private Health Insurance And Medical Savings Accounts: Lessons From International Experience; and on the economics of prevention for the Oxford University Press Handbook of Health Economics, both due to be published shortly. She has a long standing commitment to the use of economic analysis in policy. Hall J, 'Health care reform in Australia: Advancing or side-stepping? ', Health Economics, 2010, vol. 19, no. 11, pp. 1259-1263. Is there a crisis in nursing retention in New South Wales?, , Australia and New Zealand Health Policy, 5:19, 2008.